The 2017 Bridgestone World Challenge is now in the books. 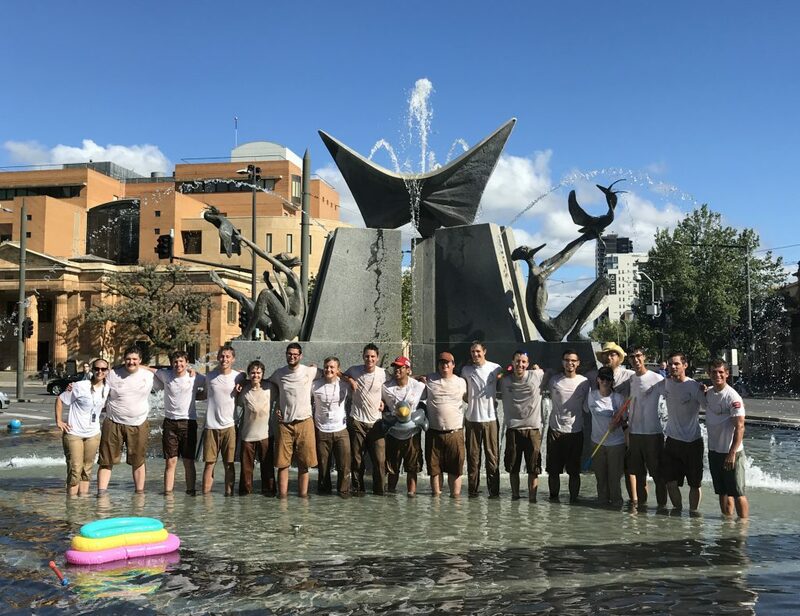 Iowa State’s Team PrISUm rolled across the finish line in Adelaide around 1:25 p.m. on Friday, October 13. Since PrISUm competed in Adventure Class, teams were not ranked from first through last as they are in both the Crusier and Challenger Classes. Teams from the Netherlands took first place in both the Crusier and Challenger Classes. Nuon Solar Car from Delft University of Technology in the Netherlands won the Challenger Class with an average speed of 81.2 km/h. 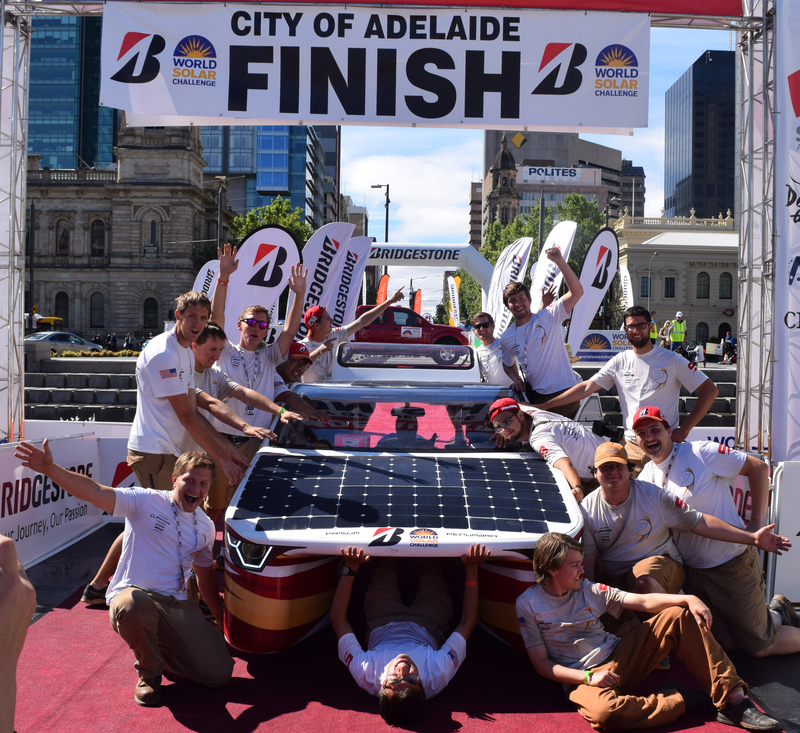 This was the Dutch team’s third World Solar Challenge title in a row and their seventh overall. 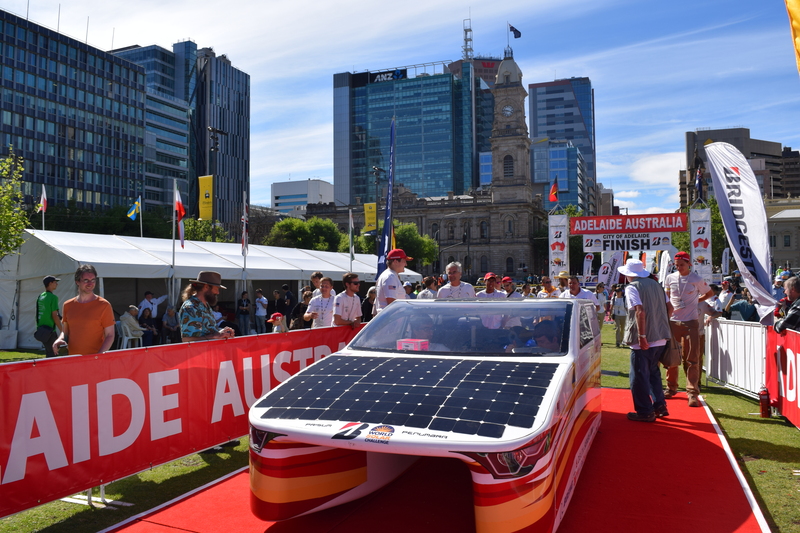 Solar Team Eindhoven from Eindhoven University of Technology bested the Cruiser Class, averaging 69 km/h. This was Eindhoven’s third first-place finish in as many years. For a full list of results and for more information about the race and each team, click here.